Were the areas that are bold actually bold in the real letter? 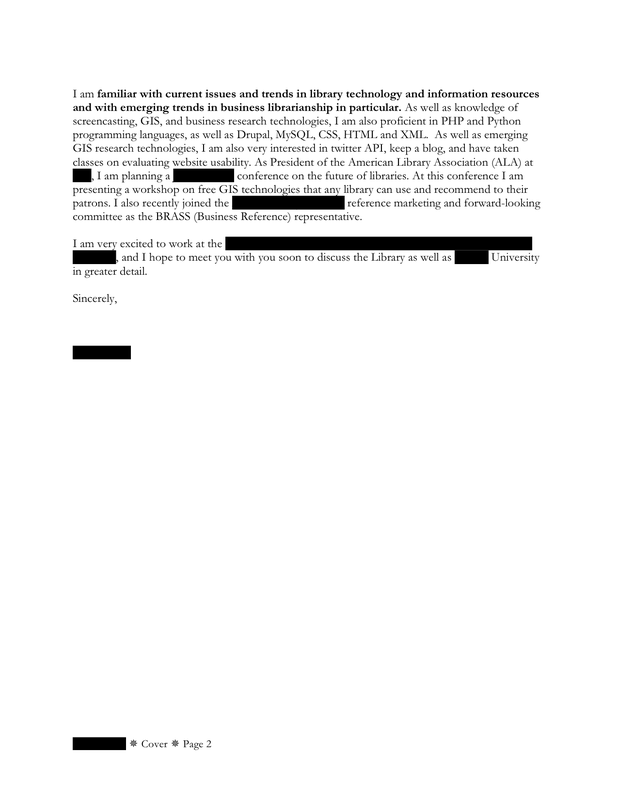 Yes, the cover letter you see is formatted as-is. The only change is the redaction. Thanks, Errol! 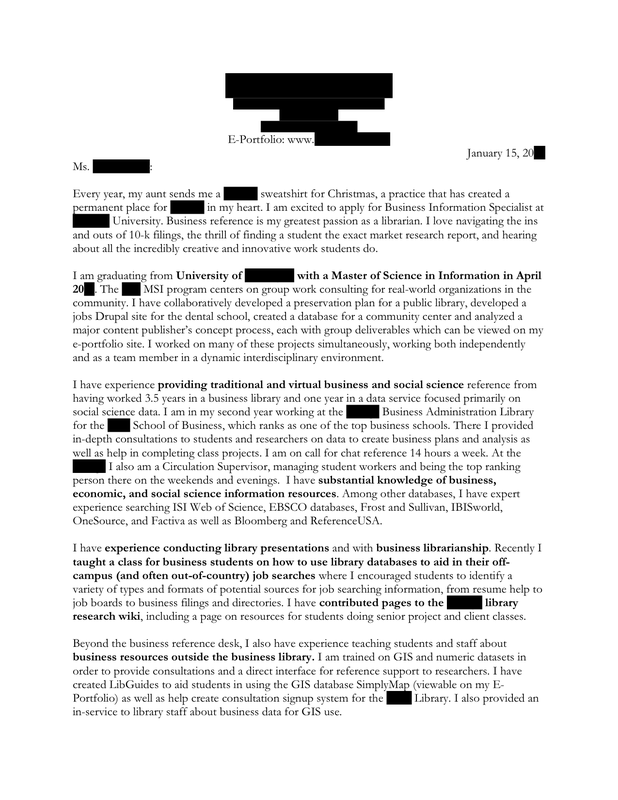 You are welcomed, I may post mine as a Law Librarian. I guess I would redact portions as I see fit. Right? Eroll, you can send me the original version which I can redact for you. I try to be as consistent as possible. I will send you the final version over email which you can approve for publication.